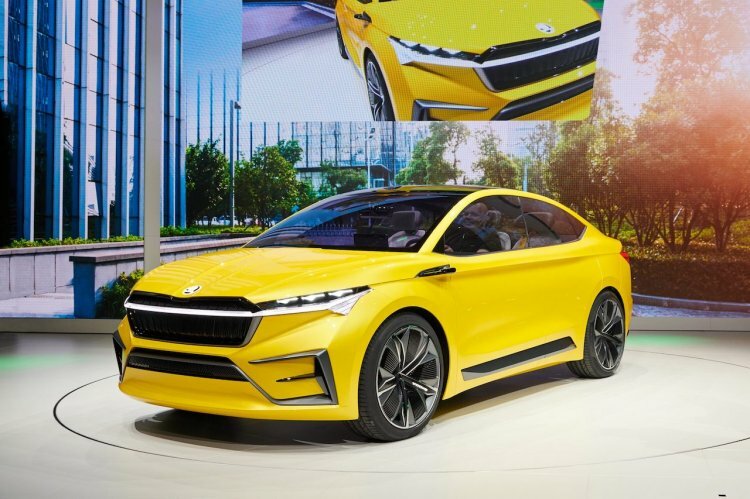 At the 2019 Geneva Motor Show this month, Skoda unveiled the Vision iV, a four-door crossover-coupe concept. IAB’s digital illustrator Shoeb Kalania has created a rendering to show his depiction of this concept’s production avatar. The Vision iV is Skoda's first car built on the Volkswagen Group’s modular platform developed especially for electric vehicles (MEB). The Skoda Vision iV measures 4,665 mm in length, 1,926 mm in width and 1,613 mm in height. It’s just a little smaller than the Skoda Octavia in length but is wider and taller. The wheelbase, at 2,765 mm, is longer than that of the best-selling car from the Czech Republic. The athletic crossover-coupe is the brand’s first car built on the Volkswagen Group’s modular platform developed especially for electric vehicles (MEB). The Vision iV is undoubtedly one of the sportiest concepts from Skoda to the date. The production version retains the basic proportions of the concept but has noticeable changes to various elements. At the front, the prominent horizontal light strip in the upper part of the grille connecting the headlights is gone. The arrow-shaped headlights, which use Matrix LED technology in the concept, are a little bigger for enhanced visibility. The upper grille and the lower grille are more simplistically designed. The details on the bumper too have been reduced. On the sides, the production version gets wing mirrors instead of cameras mounted in shark-fin holders and features conventional doors in place of the (frameless) coach doors. Skoda may revise the roofline to increase the rear headroom. 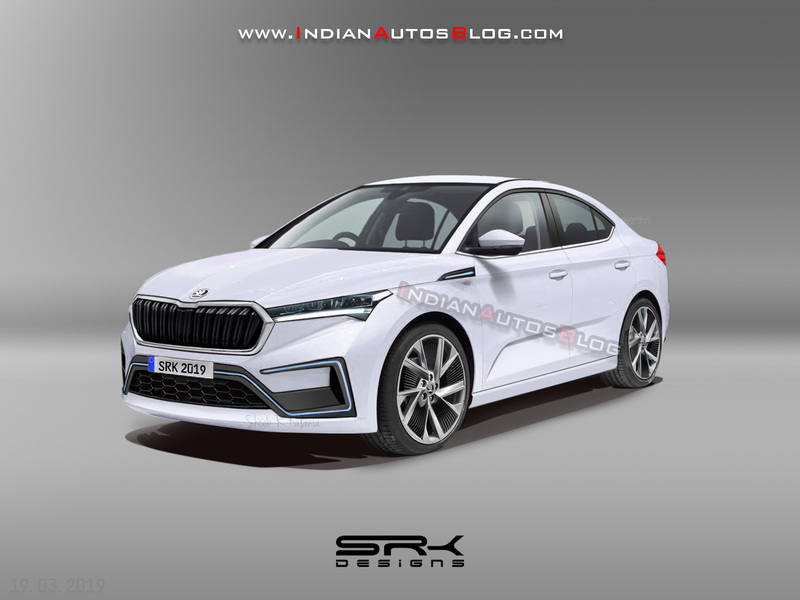 At the rear, the production version may not feature illuminated Skoda branding and a full-width light strip in the rear bumper. The Skoda Vision iV has one electric motor on each axle for a system output of 225 kW (306 PS). It can travel up to 500 km (WLTP mode) on a full charge. The Skoda Vision iV is said to be an evolution of the Skoda Vision E from Auto Shanghai 2017. The production model of the latter is confirmed for a launch in 2020.